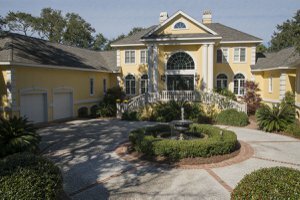 Dataw Island SC is a beautiful private gated island located off St Helena Island in the Beaufort SC area. 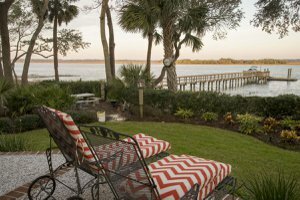 Perfectly situated to easily take a day trip to Hilton Head, Savannah or Charleston. 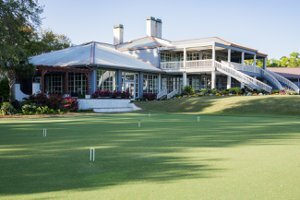 You’ll find a well planned community with two golf courses, a great tennis facility, a new community pool and a modern club house for dining, gathering and private functions. "Flawless." That's the verdict of the architects, designers, and builders who've toured this extraordinary Dataw residence. The consensus? It's the Island's "best" deep water property: proof that a full sized manor home can be timelessly well-constructed, and contemporary in feel. The location on Dataw Island's very best deep water home site offers privacy, expansive deep water views and great access to excellent boating areas. Dataw's amenities are impeccable and the island is voted one of the top planned amenity communities. Click HERE to see this beautiful property.